Building stronger democracies starts with local communities. It is at the local level where we make the decisions that have the most immediate impact on our lives — what our neighborhoods look like; the kinds of roads and transit we use; the libraries and community centers we build; how to keep our streets clean and safe; and what it’s like to work, go to school, start a business and have a family in the places we live. At Knight Foundation, our approach is to help communities discover their own right answers to these questions. Each community needs to work with what it has, learn from the mistakes and successes of others and, simultaneously, look to the future. We know that cities across the country are grappling with rapid change — from disruptions to industry and information exchange brought on by technology, to shifting demographics and new demands from residents. At the same time, there is no ‘one-size-fits-all’ approach to building successful communities. Those that adapt and thrive in a rapidly changing environment do so by providing people with the information they need to contribute, engaging residents across backgrounds and staying authentic to place. Each community needs to work with what it has, learn from the mistakes and successes of others and, simultaneously, look to the future. The Knight brothers sought to put their wealth to work in the same communities that had enabled them to build and grow what was the largest newspaper company in America. Today, Knight Foundation maintains that deep commitment to community, working in 26 towns and cities across the country. Together, they are America. The largest community is Philadelphia at 1,580,000 people. The smallest is Milledgeville, Georgia, at 18,933. (And that’s just counting by city limits). They come from every major region. Some of the communities where we invest are at the leading edge of the economic expansion. Others are working to reverse decades of disinvestment and decline. As social investors, we believe that our role is to support transformative impact. In each place, Knight seeks to tap into what is burgeoning in the community. Our Community and National Initiatives program focuses on supporting more informed and engaged communities through investments that attract and nurture talent, enhance opportunity and foster civic engagement. There’s no one way to do this. Each community faces its own unique constellation of challenges and prospects. And, as social investors, we believe that our role is to support transformative impact. This means that we seek opportunities where we can support not only what is worthy, but what will affect meaningful, sustainable social change in the places where we work. Our approaches are therefore as diverse as the places we work. In Miami, we have invested in the growing entrepreneurial ecosystem. 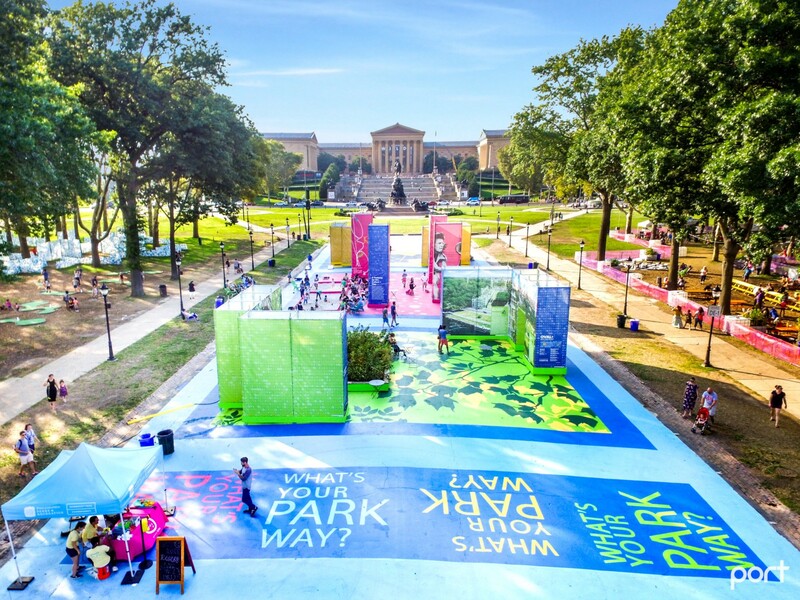 In Philadelphia, we support public spaces as platforms for civic engagement and participation. In Akron, the Knights’ hometown, we invest in bringing residents downtown to grow and revitalize the city. We also recognize that there are opportunities that many communities face in common. Our work in National Initiatives spots these opportunities to accelerate our impact in specific communities while elevating what we and our partners are learning. Currently, our National Initiatives program is focused on two areas. The first is our work in Smart Cities, intended to harness the growth of digital technology to improve how communities respond, connect to and engage with residents. Like the Knight brothers, we at the modern Knight Foundation are committed optimists when it comes to the positive power of technology. But we’re not naïve. As technology increasingly defines every facet of our lives in community — from how we interact, to how we purchase goods and services, to the way that we get around — our work is focused on putting residents in the driver’s seat of design, decision making and impact. The second area of focus is in the role of public spaces in fostering more informed and engaged communities. Through our work in specific communities, and through path-breaking multi-city partnerships such as Reimagining the Civic Commons, we have seen firsthand the transformative power of public places and spaces, from community parks to libraries to streets. These spaces support more engaged residents, a sense of connection to where people live and better information sharing. The value of informed and engaged communities is as present and powerful as ever. Both of these areas of focus are about how the structure of cities, whether physical or digital, can respond to and be directed by the people who live in them. The values that animated the Knight brothers’ commitment to local democracies persist. In fact, a glance at the innovation we see in cities around the globe shows that the value of informed and engaged communities is as present and powerful as ever. Yet the challenges to ensuring those values guide decisions and realize their goals are new, dynamic and disruptive. In that context, we aim to honor our past by enabling communities to shape their futures. Sam Gill is VP/Communities and Impact and Senior Adviser to the President at Knight Foundation. You can follow him on Twitter @thesamgill. Our goal is to foster informed and engaged communities, which we believe are essential for a healthy democracy.